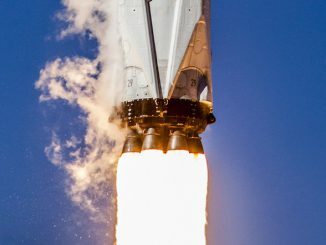 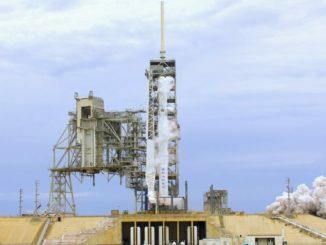 Watch a replay of SpaceX’s Falcon 9 rocket taking off from pad 39A at NASA’s Kennedy Space Center with the BulgariaSat 1 communications satellite, as viewed from the press viewing site around three miles away. 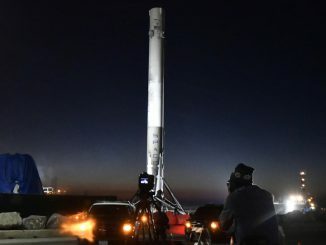 SpaceX’s Falcon 9 rocket is set for liftoff from Cape Canaveral on Thursday evening, heading due east over the Atlantic Ocean to deliver the BulgariaSat 1 communications satellite into orbit 35 minutes later. 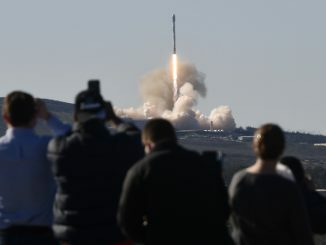 One of SpaceX’s Falcon 9 rocket boosters made its second trip into space Friday, lofting a Bulgarian television broadcasting satellite from launch pad 39A at NASA’s Kennedy Space Center in Florida, then landing on a platform in the Atlantic Ocean. 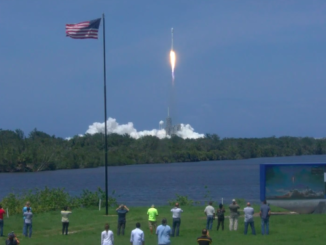 Liftoff occurred at 3:10 p.m. EDT (1910 GMT). 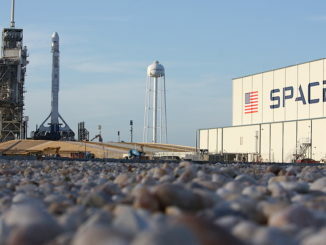 The launch of a commercial Bulgarian television broadcast satellite from NASA’s Kennedy Space Center in Florida is set for Monday after SpaceX ran through a mock countdown Thursday and test-fired a previously-flown Falcon 9 rocket’s Merlin main engines. 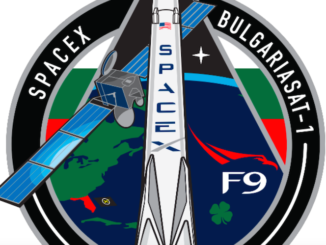 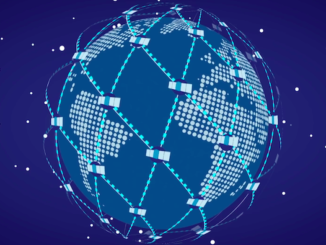 A U.S.-built, Bulgarian-owned broadcast satellite will launch in mid-June from the Kennedy Space Center in Florida aboard a previously-used SpaceX Falcon 9 booster that first flew in January, officials said Friday. 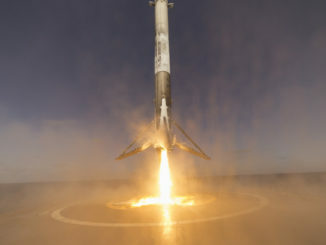 The first stage of a Falcon 9 rocket launched Saturday has returned to port in Southern California after landing on a floating platform in the Pacific Ocean, ready for refurbishment and potential reuse on a future mission. 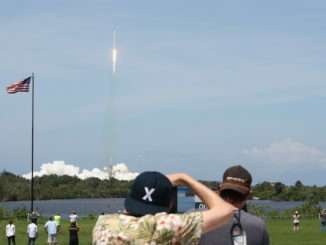 Check out more imagery of Saturday’s liftoff of a SpaceX Falcon 9 rocket, including pictures from remote cameras at the launch pad and new video released by the U.S. Air Force.